A postcard view of the Edwards County courthouse located at 312 Massachusetts Street in Kinsley, Kansas. 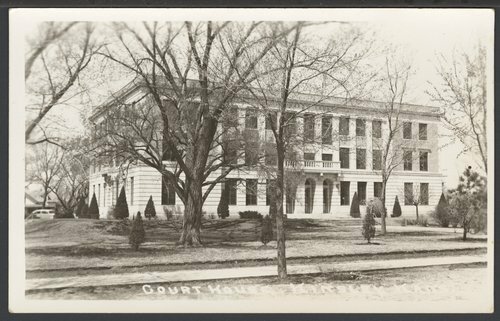 The courthouse was dedicated October 3, 1929. It was built by Roy Hatfield at a cost of $150,000.